A pen-pal experience with first and second grade students at the local elementary school. This program facilitates a fun, on-going reading and writing experience for both our members and the elementary school student involved. Each Key Clubber is paired up with a corresponding "buddy", at Tommie Barfield Elementary, that they will be writing back and forth with throughout the year. The Key Clubber is responsible for giving grade-level appropriate books that would be interesting for their buddy to read based off of their interests once a month. The buddy then writes letters back to the Key Clubber throughout the year which allows the Key Clubber to see the growth and learning from the buddy. 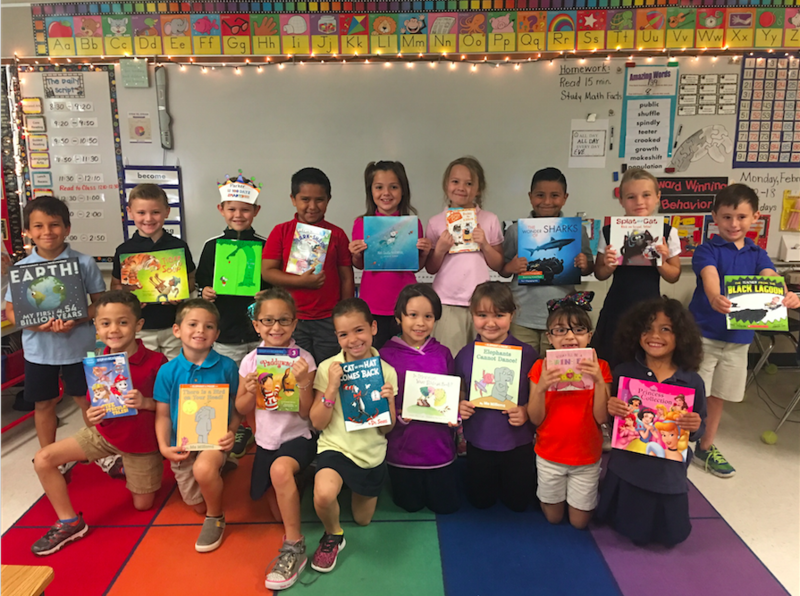 Have a class that needs books?